Tuck is a furniture and décor store; an all-around design destination. Oh yes, we also do interior design for both residential and commercial. Inspired by the summer camp tuck shop. Every morning we’d line up, waiting for it to open its doors. Once inside, dollar bill or mess of loose change clutched in our hot little hands, we’d agonize over the day’s selection of treats, novelties and minor treasures. Today, Tuck, our store located at 122 Prince William Street in the heart of Saint John, features the finest in affordable furniture and decor by some of the world most respected manufacturers – our grown up version of those first and formative ‘tuck’ canteen experiences. 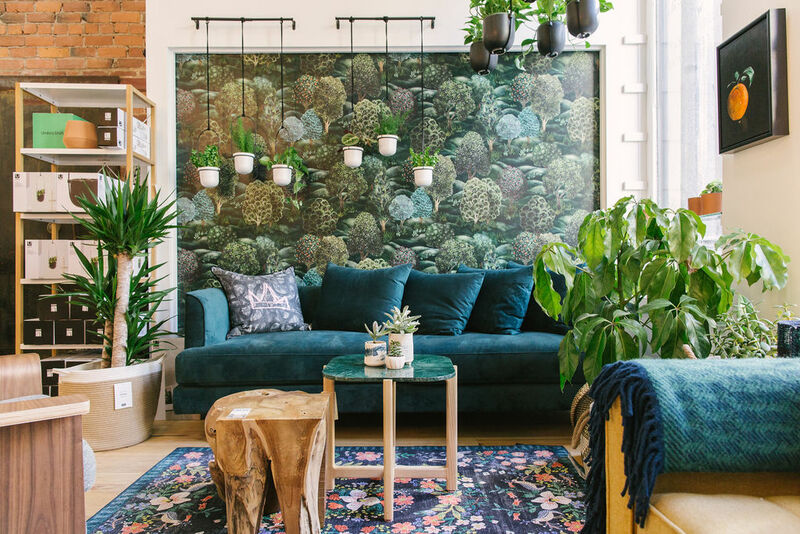 Whether it’s finding the perfect sofa, light, vase or cushion in our downtown store or providing you with a room makeover or complete renovation, Tuck, our store or Tuck Interiors are committed to helping you re-imagine your space! 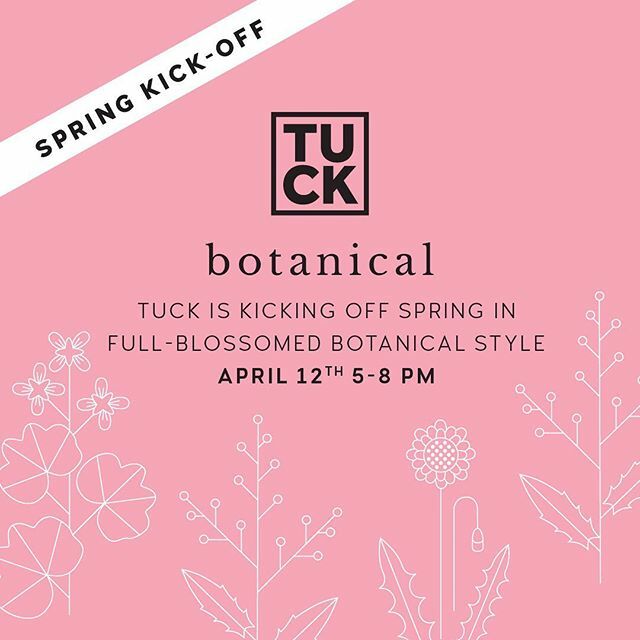 Spring Botanical celebrations continue at Tuck! 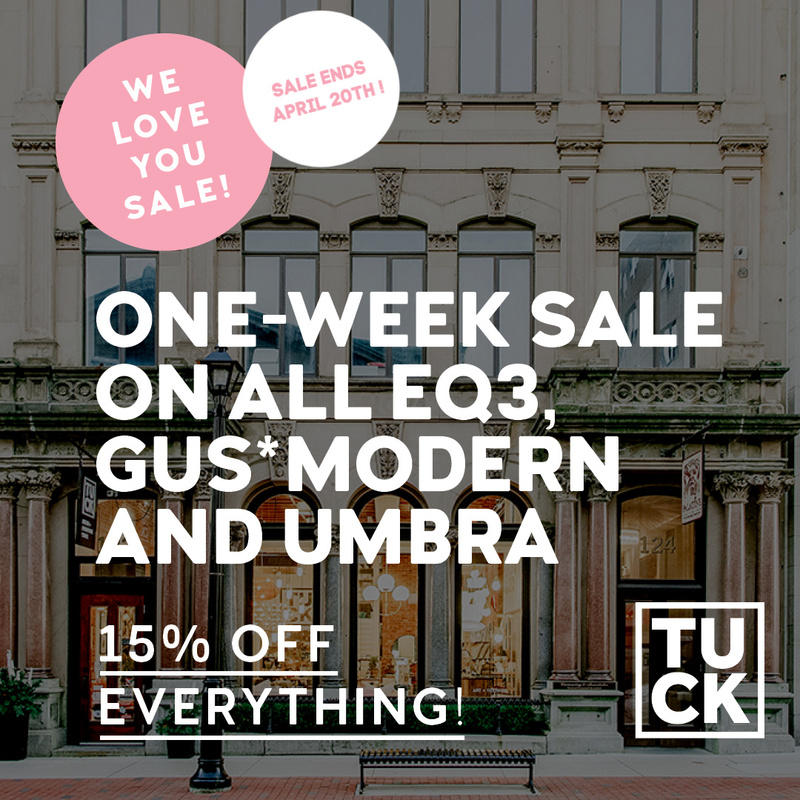 15% off Gus*, EQ3, & Umbra PLUS, enter for a chance to win a Home Consult and $1000 to spend at Tuck!